When I made hotel reservations for our recent trip to New Orleans for my daughter’s freshman orientation, I called the Marriott toll-free number, considering I participate in Marriott Rewards. My first choice hotel didn’t have the room type I preferred, so the agent suggested a nearby property known as Moxy, with which I wasn’t familiar. The agent, however, suggested that it was “different” and, after asking a little bit about my trip, said that she thought Katie and I would enjoy it. From the airport, we Ubered (yes, I used Uber as a verb) to Moxy. As we entered the unambiguously unusual exterior that wrapped around a block corner, we were greeted with an equally distinct interior. Rather than seeing a lobby, Katie and I saw what looked like a bar that had an elevator bank on one end. The front desk at The Moxy. The youngish woman answered, “Right here,” as she looked down at one of two laptop computers dust down from the beer taps. She offered me the house special, “The Moxy,” which, apparently, has to be the only free cocktail they could offer. After the barmaid described the contents, I decided it was too sweet for my taste. I made a much simpler order, which I was happy to charge to the room. The target market for The Moxy Hotel is absolutely Generation Y and Millennials, but there is a lot for a more seasoned traveler to appreciate, as well. A distinctly minimalist décor, the elevators and hallways feature mirrors and modern art reproductions. 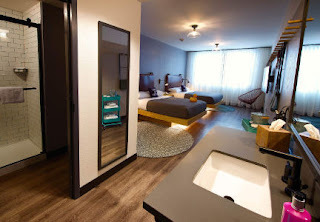 The rooms are spaciously and feature Pergo faux hardwood floors, hanger hooks spanning an entire wall, wood and leather hangers, a deep, wire, bucket chair, and reasonably comfortable beds. My only concern is the size and amenities in the exercise room. 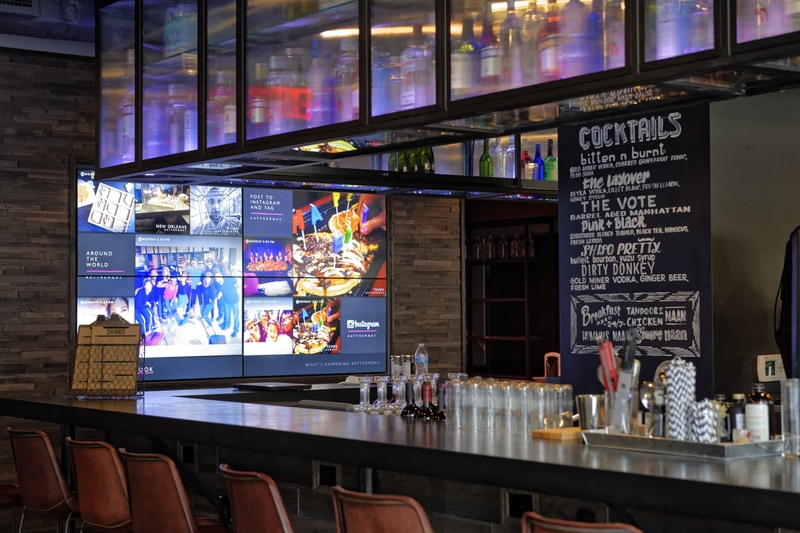 At least in The Moxy in New Orleans, the small room only includes two treadmills, one bicycle, and a decent array of free weight. Any more than three is a crowd. Notwithstanding that relatively minor criticism, The Moxy price is right. Recently, I checked the room cost. With a month’s notice, the lowest rate for a room with one queen bed for a weekend with a Saturday stay is just $82 plus tax in New Orleans. It’s tough to beat that price in a metropolitan area. 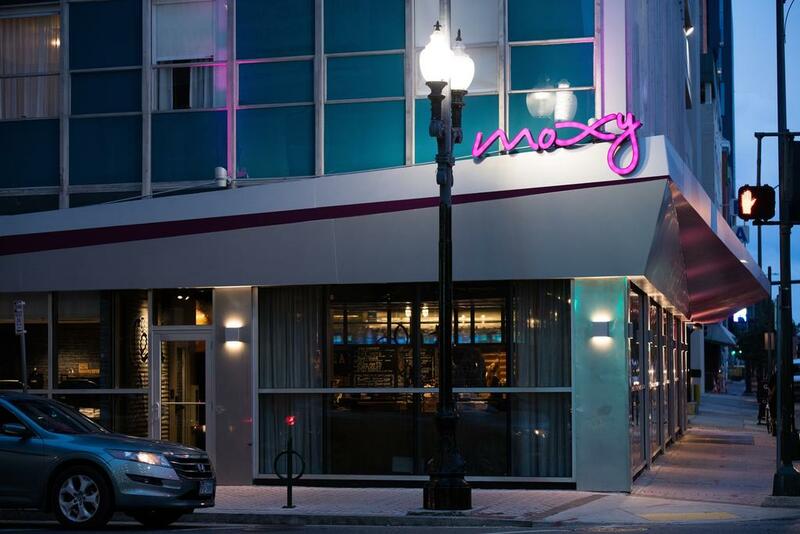 Overall, including price, location, and customer service, The Moxy and Marriott get a five-star rating. Oh, by the way, "Hundo" is the Millennial word for fantastic.